The Heavy Water Plant at Manuguru in Andhra Pradesh is owned and operated by the DAE's Heavy Water Board (HWB). Based on the Bithermal Hydrogen Sulphide-Water (H2S-H20) Exchange Process, the plant has a production capacity of 185Mt of heavy water per year. After the Kota Heavy Water Plant, the Manuguru facility was the second plant based on this process. Based on experience gained from the Kota Plant, the Manuguru Plant has managed to avoid some of the problems that plagued the Kota site. The Manuguru site was chosen for its proximity to large coal fields and the Godavari River, which provide the plant with the necessary resources. The Captive Power Plant (CPP) was also integrated into the site to provide reliable power and steam. The CPP's three pulverized coal-fired boilers and three extraction condensing turbines are capable of supplying 30Mwe each. Despite the design improvements, the plant has suffered cost overruns possibly due to alleged corruption in the plant's management. The Manuguru Plant, which is unsafeguarded, was commissioned in December 1991. 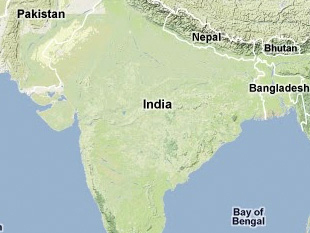 Andrew Koch, "Selected Indian Nuclear Facilities" Center for Nonproliferation Studies, 1999, www.nonproliferation.org. "Heavy Water Plant, Manuguru," DAE (Government of India), www.dae.gov.in.